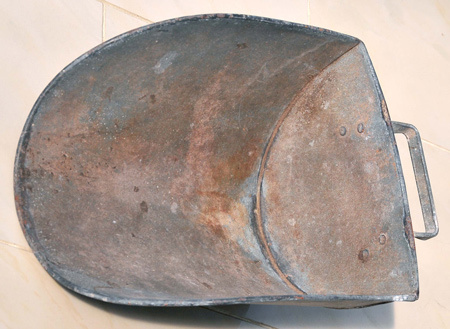 16” Feed scoop in Galvanized Steel. 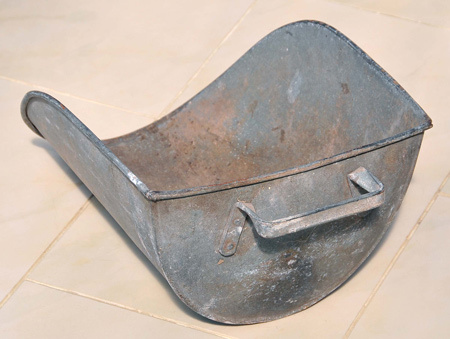 Be best friends with your chickens, geese, ponies, goats with this generously sized feed or grain scoop. Painted or decorated, it could be a room feature for the farmhouse or cottage kitchen. In used good condition and ready for more work or retirement! Design & content of this site is Copyright © Ian Jebbett 2000 - 2018. No reproduction in part or in whole, by any means, without the prior written permission of the author. E&OE.